This year's Oscars are still the talk of the town, and Apple has got in on the act by recruiting Martin Scorsese to narrate a video about how iOS devices can help budding young filmmakers create their very own masterpieces. So just how easy is it to pick up an iPad Air 2, shoot some footage and create the next Taxi Driver? 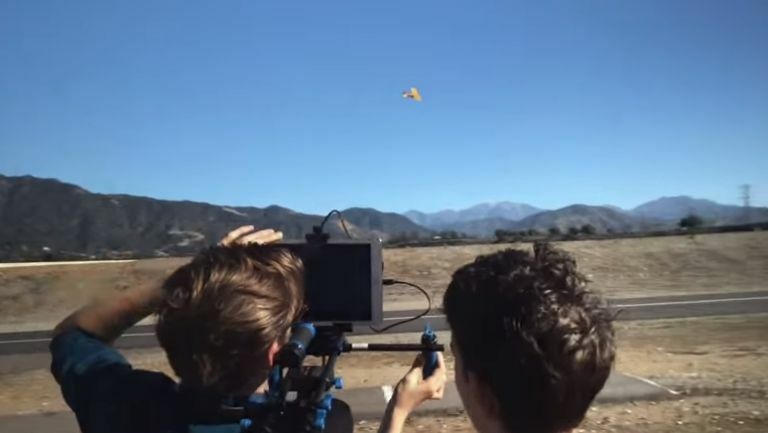 The video shows student directors from the Los Angeles County High School using a variety of iOS apps to create their movies. It's certainly an inspiring sentiment, but we don't think a film shot on a mobile device will be winning any Oscars soon. However if Scorsese's pre-recorded voice inspires a new generation of filmmakers to pick up their tablets and shoot who are we to complain? So just how easy is it to make a decent looking movie on your iPad or mobile device? There's a few apps and accessories that can help you capture amazing looking footage. The built-in camera of the iPad and other tablets is perfectly fine for taking wobbly home videos, but if you want to add a bit of professionalism to your shots there are a range of camera lenses that can help. For example Sony's QX lens can be adjusted to fit a range of smartphones and tablets and can give your footage a huge quality boost. As tempting as it is to rush out and begin filming straight away, if you really want to make an excellent film you'll want to plan the production so everything goes as smoothly as possible. The Celtx Shots app is an excellent tool for iPads that helps to plan and storyboard your movies, giving you complete control over how your movie will look. In Apple's video the students are shown using a range of apps that can help you film and edit your movie. Another great tool is the Spark Camera app which specialises in short films. The best thing about using mobile devices to create your movie is that rather than paying loads of money for professional programs, there are loads of free or cheap apps that bring a range of effects and tools for your movies.